Welcome. 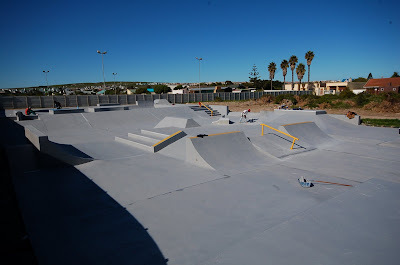 If you have any Cape Town BMX news email me at west_coast_bmx@yahoo.co.uk and I'll be happy to post your photos, products and news. CHECK OUT THE NEW WCBMX SITE: http://www.wcbmx.com BOOKMARK IT! We'll be bringing more to you for your viewing pleasure. Send us your photo's or links to your videos and we'll post them up in our Gallery (coming soon). I'm working on something new at the moment so hang in there and stay tuned. 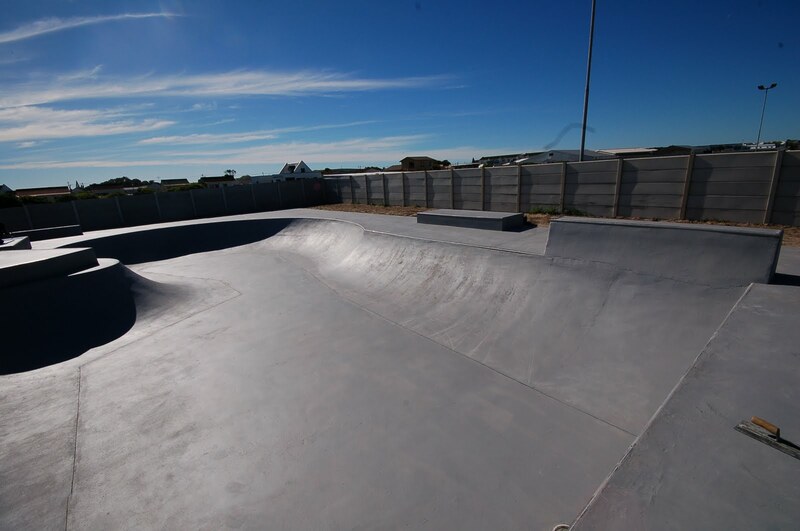 And join our facebook page at http://facebook.com/BMX.South.Africa for any other info. Weeeeeelllll, theres not too much happening at the moment. Loads of riding going down though. 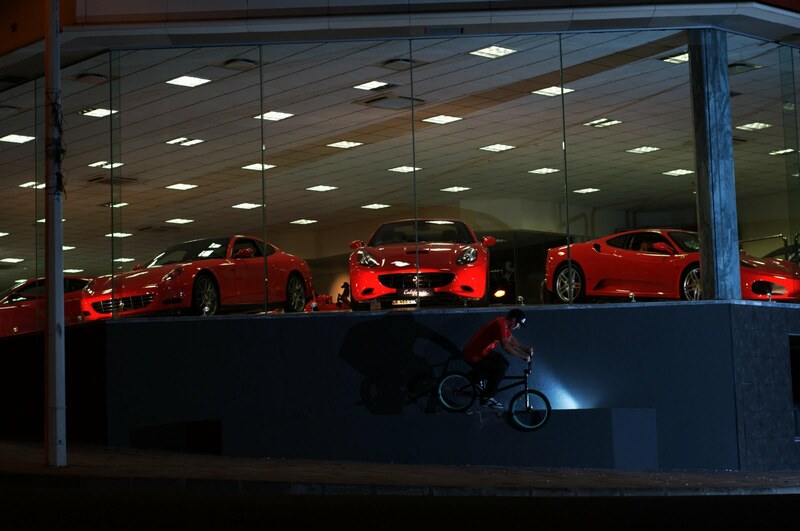 Tonight is a little "best trick" jam at The Shed in stellenbosch. R10 to enter and winnner takes all. Should be fun considering they have moved the big grind box/driveway over to the other side ot he park, where the Spox was. I'm so amped to go hit that setup and put my DayLife pegs through another beating. They are holding up great! See you at the park. I'll be the guy with the angry face who is snaking everyone. They are working on a blog too : HERE. so check back in a couple of days for new news. Daylife will be making 7075 and 6082 marine grade alu sprockets in different sizes and colours. You can expect them around next week. prices for parts coming soon. Seems like the "fountain" stem is holding up to Werner M's beating. No problems yet, although we are busy with a bit of tweaking here and there. (rounding some edges of and might split the front end) . When Werner M is done testing his stem, it will be past on to Basil for further demolishing. I filmed this the other day in about 90mins. 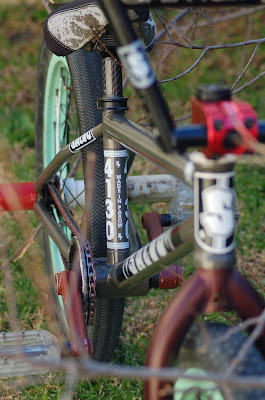 The Dayife pegs rule and my Salvo frame is great. Maitland Grind session from WC BMX on Vimeo. Self-filmed edit of James Brawn putting the DayLife pegs through some grinds at the Maitland park. Langebaan Park from The Riot on Vimeo. Wayne Reiche put this edit together of him, Stephen Savage, Clemie de Bruin and me riding the new Langebaan park. Wayne and Savage both ride for The Riot so go check them out. (Take a good look at that Salvo frame. It's totaly pimped with the Giant parts and the best setup I've ever had). Well, I got my "Cuts" DVD in the post from BMXDirect and DAMN IT"S GOOD! I love Animal/Skavenger/Skapegoat DVD's and edits because the riding is so accessable and is full of "tricks" that I acutally have a chance of doing. 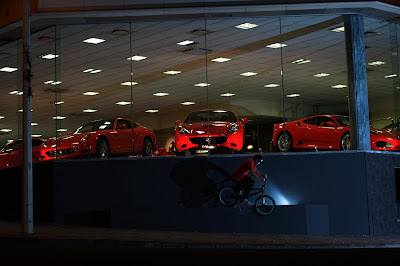 The DVD runs at just over an hour of solid riding with no fancy editing and a good mix of music. It features the whole Animal team and has two mix sections of other well known riders too. If you liked any of the other Animal DVD's, this is a must. I just put a bike check up over here: BMXCENTRAL , so go take a look at what I'm running and feel free to ask any questions. It's been a long time coming and boy it was worth it! Well I finally got my MP prototype frame to test for Salvo. I’ll be running this for a month or so and giving Salvo feedback along the way. Then it’ll get passed onto another well known CT rider to test and give his feedback as well. 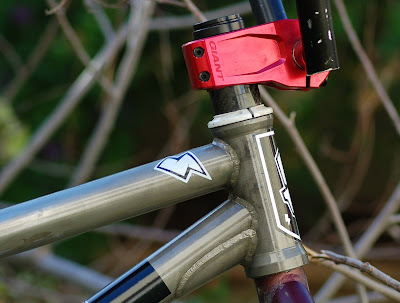 Check Salvo's blog for photo's taken while the frames were being made and close ups of Malcomn's personal 21in red, danger machine. First off the build quality is awesome. The guy who welds all the frames for Salvo, welds airplanes for living, so I was expecting a good finish. The end product is even better than that. The welding is top notch and you can see the guy knows whats he’s doing and is proud of his work. 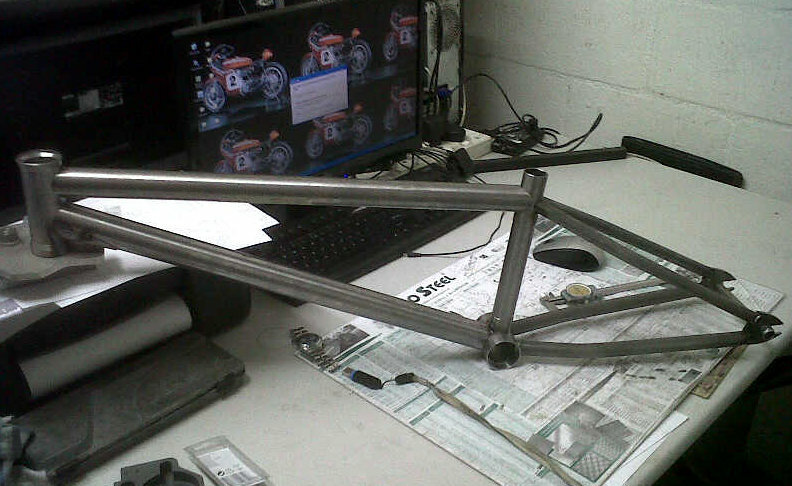 Coupled with the post-weld heat treatment process, this makes for a tough, clean looking frame. My frame is raw and there are no "burn marks" around the welds because the whole frame was reheated and this makes all the tubing basiclly become one unit and all the tubing ends up the same colour again. All the tubing is aircraft grade 4130 imported from the USA and even the headtubes and BB shells come from FBM! The top and down tubes are 1.2mm thick straight gauge tubing and the whole frame still only wieghts 4.65lbs. The shorter headtube with the 75* angle makes for a lively feeling frame and feels great for front wheel tricks. The downtube has a neat hollow gusset on the underside too to add some strenght. The back end is 13.4in slammed and my 25/9 ratio fitted great. The dropouts are micro to say the least and they hide away very nicely behind my pegs. Even with running 2 hub guards, my rear wheel slotted in perfect and I had the whole bike built up in under 30mins. 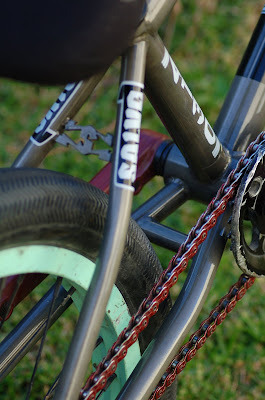 The seat and chain stays are not capped at the ends and this gives and nice effect and saves a little weight too. My frame does not come with brake mounts but frames can odviously be ordered with a choice of top or bottom mounts. Thats it for now. I’ll be filming a little edit this week and you’ll get to see the frame in action. 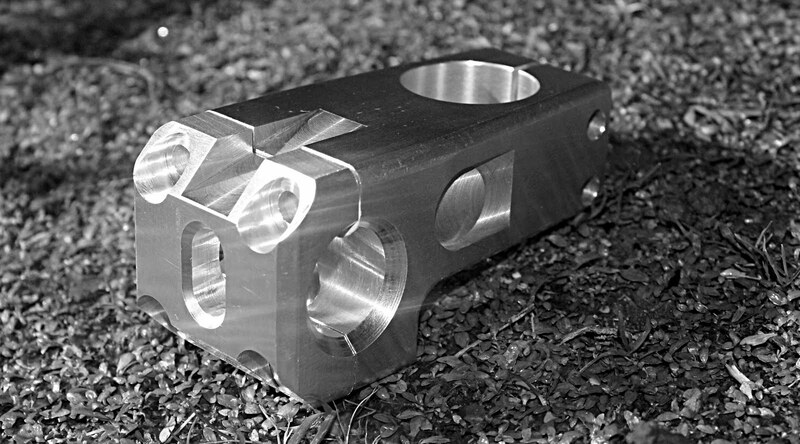 Updated info: "This is the prototype Werner Matthee sig FOUNTAIN stem from DayLife. 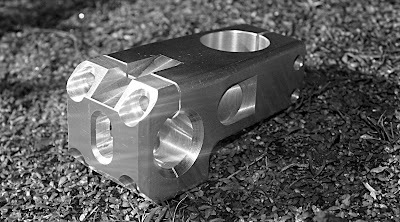 made out of 6082 alu by Werner Hendrich at GS Tool and Die. . Sprockets and front hubs coming soon. stay tuned"
This has been under wraps for a little while but some rumours have been floating around. Well here it is, the DayLife stem. I'll post all the technical info later, because nobody ever reads this stuff anyway, but for now just take look and enjoy. To order this and other DayLife parts call Werner at 076 744 3592. After using the DayLife pegs for over 2 months and enjoying every grind and stall, I am really excited to give this a try. The pegs RULE and I think they are the best pegs I have ever used. BUY SOME, you won't be sorry. 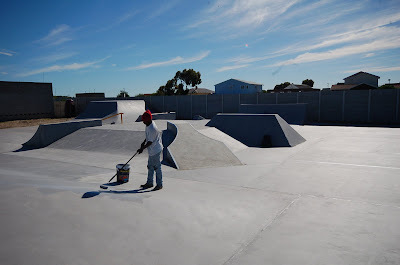 So I missioned up to Langebaan this Sat only to find that the place was getting painted. Who paints a park on the most popular day of the week is beyond me. Numorous cars pulled up when I was there and losts of wheelspinning and comments were heard from people leaving again. I must say that this is the most creative design that I have seen in Cape Town. I've seen "plaza" designs in DVD's and magazines but to see one in real life got my creative juices flowing. I really can't wait to ride this place. Well done to the designers and the construction guys who made it. It's top notch. Here' the new tombstone in the bowl. I did hear one of the foremen complaining about a BMXer who gave him some back chat the other day and told him to F-off, and I'm not too happy about that. If you go there and get cocky with people, you are just making it worse for the next BMXer who rolls up. Not alot of people like bikes and if you're going to go around making more enemies, one of your enemies is going to be me. Respect the park, respect the other skaters, riders and locals and don't piss anyone off! saw this through Twitter. Go To Salvo's site for info on this. I CAN"T WAIT! This got cut short due to bad weather, corrupted tapes and lack of time. 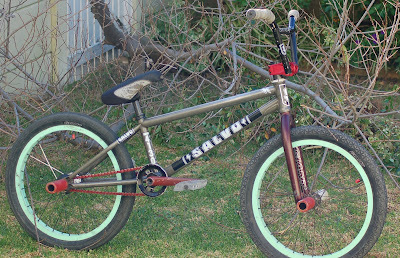 I'll be doing an edit for Salvo next week, once I get the MP frame I'm test riding for them. That edit will be abit more burly than this one. Enjoy. James - Fun edit. from WC BMX on Vimeo. 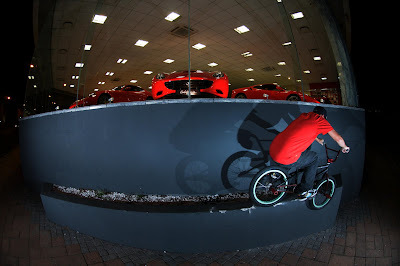 A quick edit of James Brawn testing the DayLife pegs in and around Cape Town. James also works for Giant South Africa and rides what he reps. Another edit coming soon. Langebaan Park @ Noord Street. 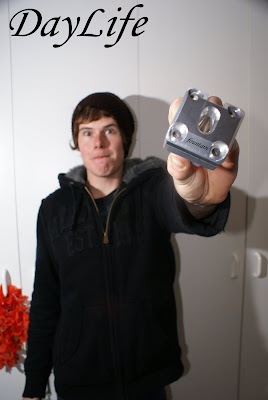 Copyright West Coast BMX and James Brawn.. Awesome Inc. theme. Theme images by imagedepotpro. Powered by Blogger.